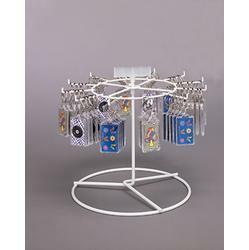 This twelve hook single tier spinner is a wonderful counter top saver! Its compact and rotating design allow you to display a multitude of objects in a very small space. Wire construction is very durable and works well in high traffic environments.